Hello there friends and crafty peeps! 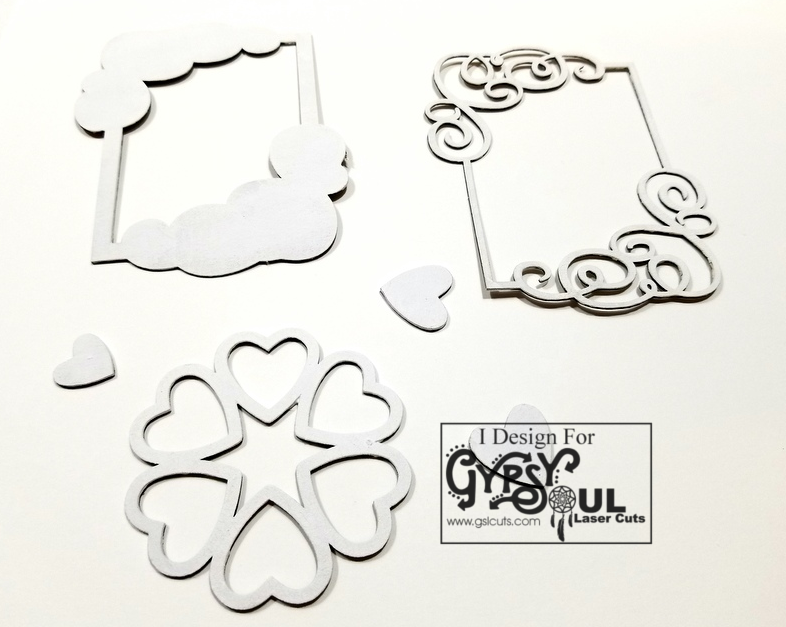 So excited to be sharing my first project on the GSL blog for 2019. Creating cards in this size 4 x 9 which is fairly new to me this year really gives me the opportunity to use more of the gorgeous frames. 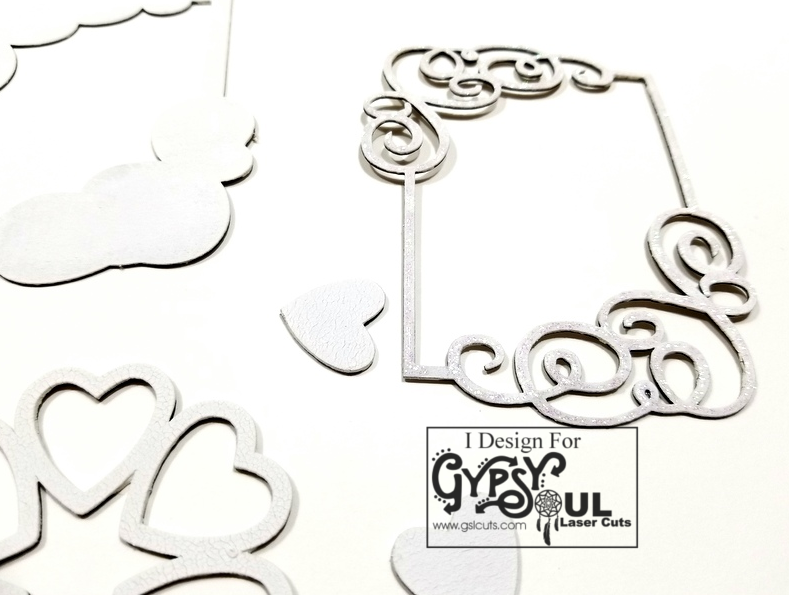 I think this scrolly layered frame is so perfect for fancy Valentine’s cards. I’ve included additional holiday themed chippies to fill in the space. The heart shapes are topped with glitter glue for added sparkle. They really help to fill in this arrangement. 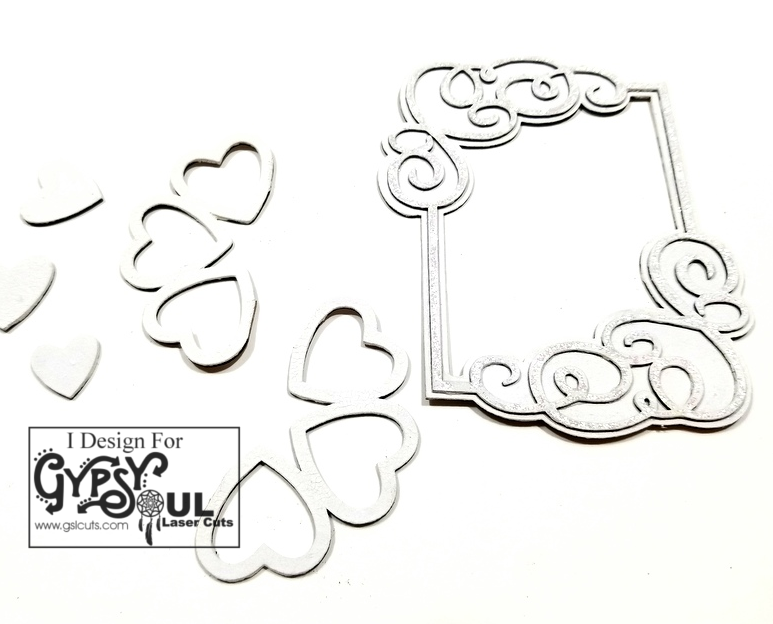 Including embellishments like this heart charm build on the theme. 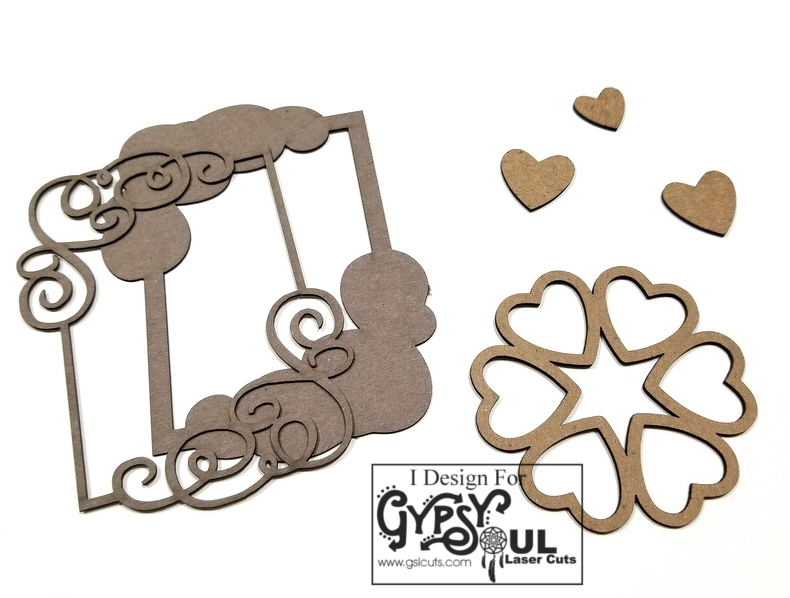 After selecting the chipboard I wanted to use I wiped them down to prepare them for altering. Everything gets a coat of flat white acrylic paint. The top section of this layered frame has clear glitter glue added for extra detail. I’ve assembled the frame and clipped the heart circle chippie so it can be added to the frame to extend the dimensions. 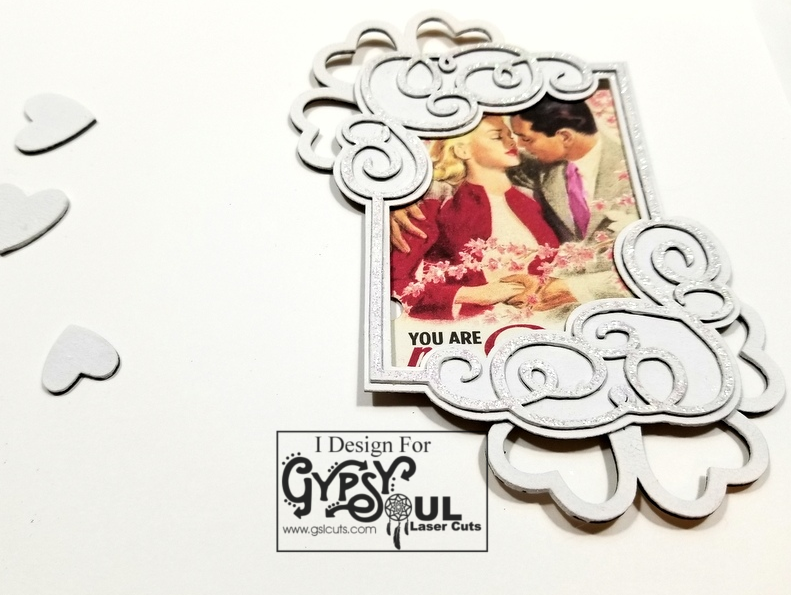 Adding a pretty holiday image to the back makes it the perfect addition to this Valentine card. Wishing everyone a happy, healthy, and blessed New Year! I love the places where you’ve chosen to use red…just enough to be perfect. Those red flowers just jump right out! Beautiful!! The red border is a wonderful frame for this card…any other color wouldn’t have worked so well. Nice!